A competition has been launched to build a new harbour for tourist boats on the south coast of Samos island. 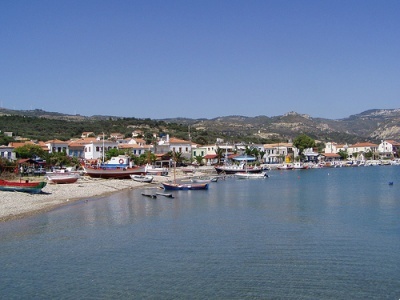 The south-west coast of Samos has become increasingly popular in recent years. The port of Marathokambos and nearby beaches at Kambos and Votsolakia attract many thousands tourists each year. But the area can only be reached by a long and circuitous drive over the central mountains from the main harbour in the south-east of the holiday island of Samos at Pythagorion. Now the Greek National Tourism Organisation (EOT) has announced an open competition to build a harbour to shelter tourist boats in Port Marathokambos, Samos. The project includes building a new port for €3m and providing electricity at a budget cost of €1.1m. Firms have been invited to submit their plans by July 19. Foreign bidders are allowed but they must demonstrate that they have completed similar projects in the last five years. All participants must submit bank guarantees of €69,600. The project is 85% funded by the European Regional Development Fund (ERDF) and 15% by the Greek government.